A Cloquet native, Sister Clare Marie Trettel is a graduate of The College of St. Scholastica and the University of Minnesota, Duluth. She has had a variety of experiences in Catholic education that began with teaching upper elementary students. 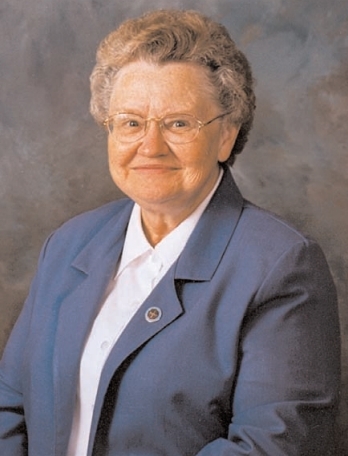 She served as a principal for fifteen years and then became superintendent of schools for the Diocese of Duluth. Her next experience was as elementary coordinator and instructor at The College of St. Scholastica. After leaving the College to serve as prioress of the Benedictine Sister of Duluth, she returned as coordinator of the ECI Program (our first online masters program). She then became coordinator of the graduate education programs and continues to serve in roles essential to the success of the School of Education and its students. Sister Clare lives the values we cherish as part of our Benedictine heritage. To recognize students with outstanding commitment to education that surpasses the required curriculum. Documented completion of six significant activities in the following three categories (at least one in each). All experiences need previous approval by one of the SOE faculty contacts. *Must be developed with an SOE faculty contact.